The Prep Baseball Report released their Pennsylvania Class of 2019 rankings on Monday with four local high school athletes included in the most recent Top 10 list. 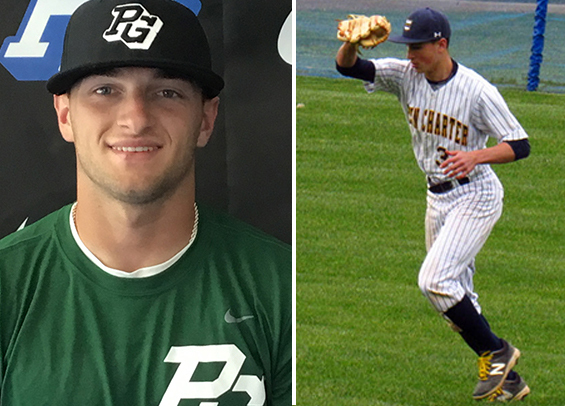 Sam Siani, a senior outfielder from William Penn Charter, ranked No.2 on the list. The Duke commit is one of the Top 100 high school ball players in the nation right now and is extremely athletic. He has the potential for a plus level bat as he continues to add muscle to his 5-foot-10 frame. He played for the U17 National Team and also can pitch. He's also the younger brother to Mike Siani who was drafted by Cincinnati this past July in the fourth round of the MLB Amateur Draft. Nick Dean, a pitcher from Bensalem, ranked No. 3 on the list. The Maryland commit is an outstanding right-hander that touts a fastball that sits in the low-90s and is complemented by solid secondary stuff, including a heavy change. At 6-foot-3, 185-pounds he has a strong frame and a consistent form to the plate. He plays his summer ball with the Philly Bandits. Chris Newell, an outfielder from Malvern Prep, ranked No. 4 on the list. He's committed to Virginia and has a quick stroke with power to all fields. He also has a high baseball IQ and is outstanding defensively. He played in the 2018 Under Armour All-America Game and plays summer ball with the All-Star Baseball Academy. Tyler Kehoe, an outfielder from Archbishop Carroll, ranked No. 9 on the list. He can hit to all fields and has a silky smooth swing that plays well for his athletic build. He's also extremely fast and plays exceptional defense. He also can pitch and can sit in the low-to-mid 80s with a fastball that has some strong movement. He enters 2019 as a favorite to win Philadelphia Catholic League MVP honors.